History has much to offer today’s current and aspiring leaders. Business schools teach cases tudies. Hollywood blockbusters are inspired by true events. Exceptional leaders are students of history. Decision-making comes with the territory. I’ve researched more than 25,000 historical events to select 52 of the most spectacular failures and triumphant achievements that offer timeless leadership lessons. 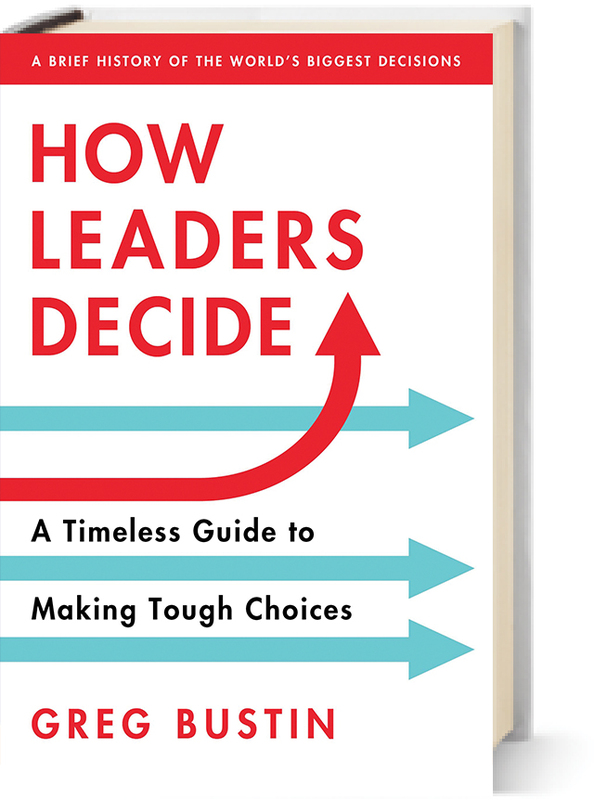 These lessons are offered in my new book, How Leaders Decide: A Timeless Guide to Making Tough Choices, as well as in my workshops and keynote presentations. The principles, approaches, and insights featured in How Leaders Decide work for anyone, whether you’re a company leader or an aspiring one. The lessons transcend company size, field of endeavor, geography, and time and encourage readers to reflect on their own situations and be inspired by the men and women who have made courageous decisions and changed history in the face of difficult circumstances. In my book, How Leaders Decide: A Timeless Guide to Making Tough Choices, I’ll be sharing 52 weekly vignettes featuring pivotal decisions made by leaders during some of the biggest moments in history, with reverberations in business, war, peace, sports, science, technology, government, and the arts. How Leaders Decideis intended to be read week by week. For about 10 minutes, you can quickly tap into a history lesson and then spend another 10 minutes recording your thoughts to the leadership questions posed in each chapter. I have given more than 500 talks on five continents to bring your organization my real-world experience as a sought-after executive coach and best-selling author of five leadership books. The result is an inspiring new approach that will challenge and inspire you and your team.